For Sunder, Inc., the construction process begins with the end in mind. By asking questions and listening carefully, J.P. has the ability to understand, conceptualize and execute fine home construction from the resident’s perspective. He can influence site selection, creation of the living space, to the final details of the materials, look, feel and ambiance of your dream home. Do you frequently entertain family, friends and guests? Are you looking for a private back-country retreat or a lively slope-side ski home? Will you spend a few weeks a year in your home, or do you ultimately plan to live in it full time? As a project is underway, ongoing communication, regular phone and e-mail updates, and digital photos of the construction process empower owners with important details for efficient decision-making. As a conduit between clients and select Vail Valley realtors, architects and engineers, J.P. is central to lot selection, planning and architecture, permits and pre-construction, and all facets of the build phase from excavation to final details. 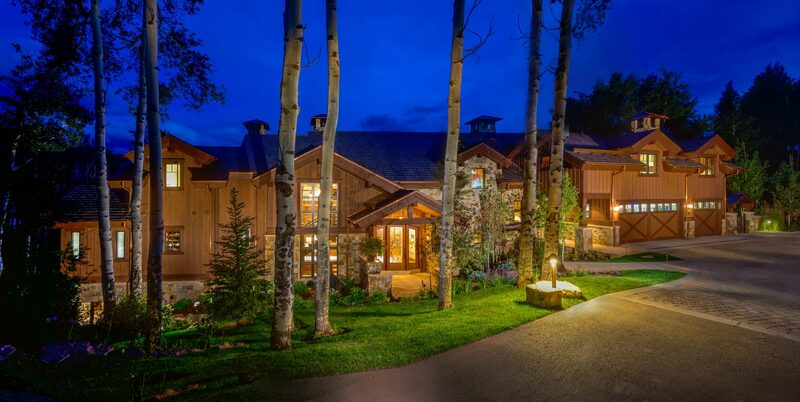 With over three decades of experience and established associations with trusted subcontractors in the Vail Valley, Sunder, Inc. is at a competitive advantage for completing custom residential construction projects according to specifications, on deadline, and free from expensive surprises. One of the elements his clients value most is the beautiful custom cabinetry, woodworking and interior trim that has become a Sunder, Inc. standard— uniquely crafted by a longstanding and favorite subcontractor.